The new telescopic ladder is small yet strong and durable. With its solid rubber feet it is safe to use on any ground, whether it be indoors or outside. The ladder is easily extended to the desired height and with it’s built in safety feature; there will be no trapped fingers when dismantling. The ladder is very versatile as it is great for use in both the home and at work. 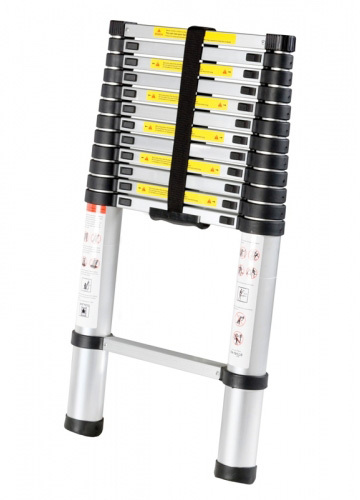 The ladder is made from high quality aluminium and tested to EN131.